Congratulations to Dr. Kelly Pritchett on Winning the Golisano Health Leadership Award! Special Olympics Nebraska is honored to announce the selection of Kelly Pritchett, Au.D., CCC-A, of the University of Nebraska-Lincoln, as its 2016 Golisano Health Leadership Award honoree. Dr. Pritchett will be awarded during the Fall Games Banquet at Abbott Sports Complex on Saturday, August 6th at 6pm. Members of the press are encouraged to attend the presentation. The Golisano Health Leadership Award is the highest honor for health partners and individuals that Special Olympics awards, and Dr. Pritchett is the first Special Olympics Program honoree of this award in Special Olympics’ history. In addition to her award, the Golisano Foundation will be generously donating $1,000 in her honor to our program. This $1000 gift is from the $37 million Golisano grant that launched and is supporting the expansion of Special Olympics healthy community initiative. 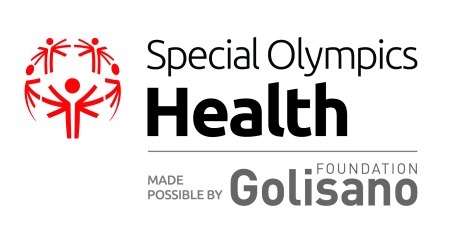 Established in 2016, the Golisano Health Leadership Award was created to recognize local health champions and their extraordinary efforts toward fulfilling the goals, values, and mission of Special Olympics’ global health program, made possible by the Golisano Foundation. The award is given to an individual or organization that is dedicated to improving the health of people with intellectual disabilities and advancing the year-round health work of Special Olympics. Dr. Pritchett is one of up to 32 individuals or organizations across the Special Olympics movement - that includes more than 5.3 million athletes and Unified partners in 169 countries - that will receive the Golisano Health Leadership Award in 2016. Up to seven of these honorees will be selected to receive the global award shared at the 2017 Special Olympics World Winter Games in Austria this coming March. Dr. Pritchett is a year-round champion for people with intellectual disabilities and their right to equitable health care in Nebraska. Dr. Pritchett has served as the Special Olympics Nebraska Healthy Hearing Clinical Director since 2009, leading the team that has provided free audiological exams to more than 1,200 Special Olympics Nebraska athletes. She also has worked to ensure that athletes have been able to receive amplification and the proper follow-up whereas before they were living with untreated hearing loss or inappropriately fit hearing aids. In addition, she engages her students at the University of Nebraska-Lincoln, volunteers at Special Olympics USA Games and Special Olympics World Summer Games, trains new clinical directors in Healthy Hearing from other states, and ensures her clinic welcomes people with intellectual disabilities.